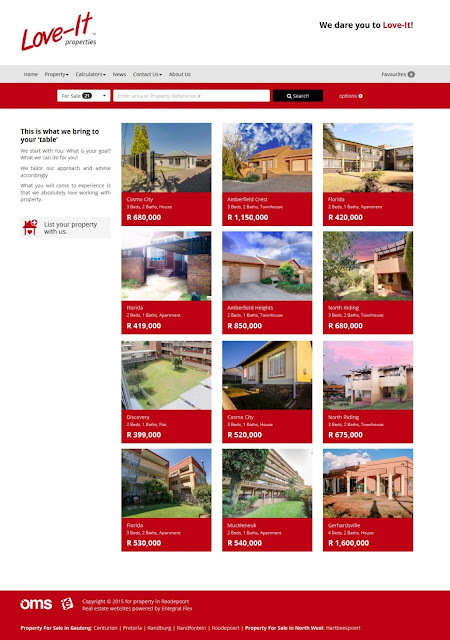 A brand new real estate agency, Love-It Properties, recently opened it's doors in Centurion. This brand new estate agency has an array of different kinds of property types available to suit any budget. Houses, townhouses, apartments and flats can be found in their portfolio in areas like Centurion, Pretoria, Randburg, Randfontein, Roodepoort and Hartbeespoort. The Folio Theme from our Flex Website options were chosen by this estate agency. 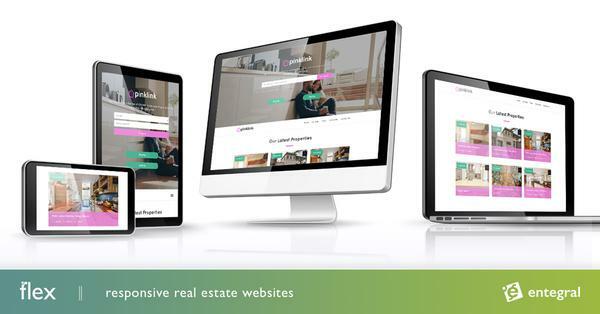 This is a perfect template if you are looking for a website with quick setup time that is cost effective and contains all the need-to-have's for a real estate agency. The above example carries a once of setup fee of R999 excl VAT only and a monthly fee of only R299 excl VAT. (excl OMS fees), a truly affordable solution for the smaller or startup real estate business.